What happens when two German brands link up to work on a shoe? Fire, that’s it. 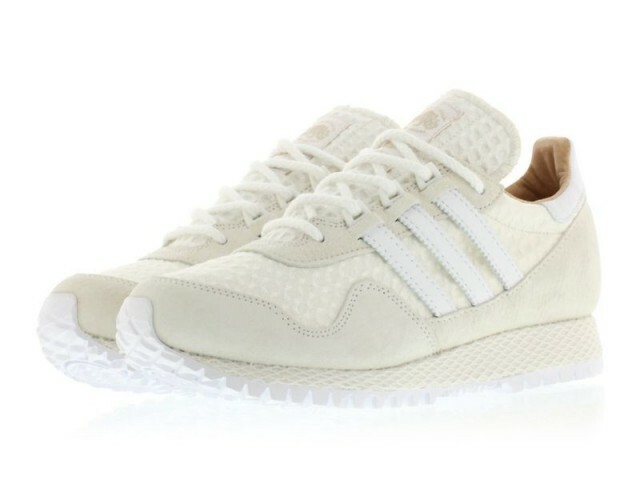 adidas and A Kind of Guise has come together to present a fresh take on the Consortium New York. The fashion label and sportswear giant, has combined the versatility of sportswear and mixed in a fashionable sense to the shoe. Boasting an off-white colorway, the upper contains a waffle weave pattern design. There is suede overlays from the mud guard all the way around to the rear of the shoe. 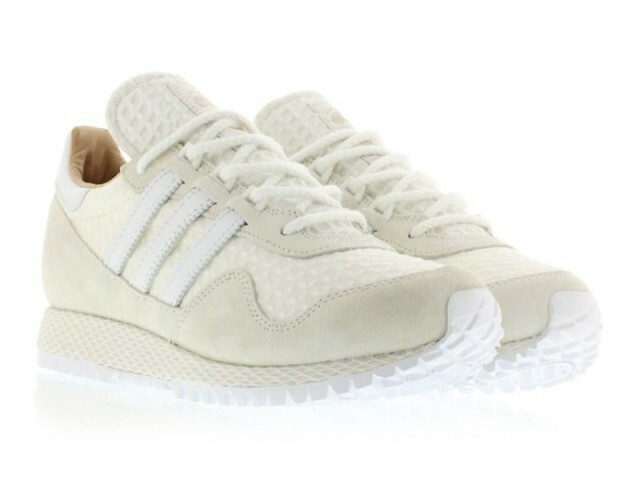 The most interesting aspect of the sneaker is the Three Stripes logo that runs into the eyelets of the lacing system. There is fall-like graphics like a acorn and leaves on the heel tab and insole of the shoe. The overall simplicity and detailing of the shoes, makes this one of the most striking collaboration adidas has done all year. You can purchase these at select Adidas retailers like Titolo.